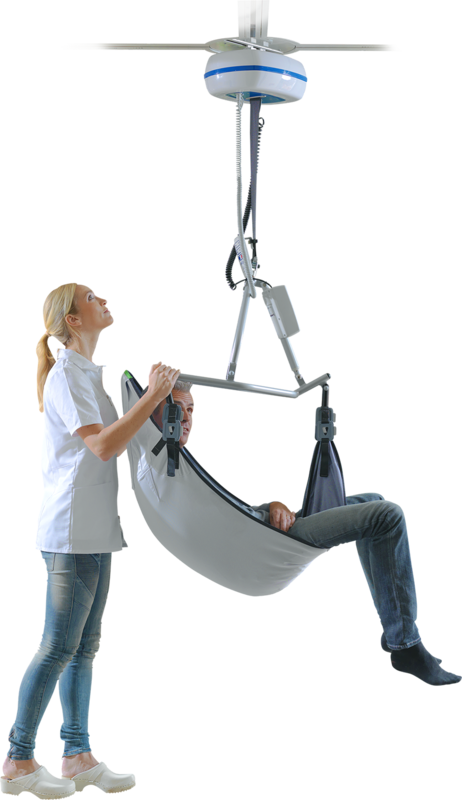 Patient Lifting Solutions (PLS) designs, develops and manufactures ceiling hoist solutions for the hospital, nursing home and domestic environment. PLS can offer a patient lift for every ceiling and situation. PLS operates through dealers and distributors. We are constantly looking for new distributors and dealers with whom we can jointly realize successful projects for safe patient handling. From a single track to complete ward-covering tracking systems, Patient Lifting Solutions (PLS) can offer a solution for every ceiling, in every environment. Our dedicated engineers were able to combine design, innovative technology and reliability with as result the most comfortable Ceiling Hoist System in the world. 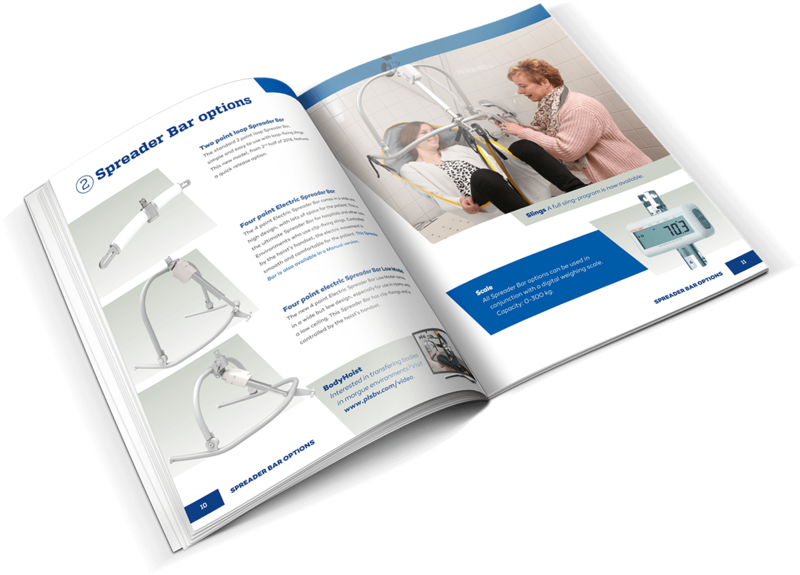 Download the PLS brochure with technical specifications, which allows you to design a unique hoist solution for every situation! All components of the PLS rail system are equipped with the unique Sensor-Motion technology. Because of this technology components like our Turntable, Track Switch and Coupling are extremely easy to operate. No wall switches or rail contacts but smart sensors detecting the hoist and activate a motion to change direction or connect segments of track. Effectively this means not only more comfort, also more attention for the patient instead of operating a track system. PLS offers different patient lift units with different weight capacity plus options. For each situation is a specific spreader bar for our ceiling hoists available. With several PLS turns and rail options every corner of a building is accessible. With the different patient lift track components you can reach any corner. Examples just to explain the diversity of options to use our track system. For intensive care or for use at home, our patient lift units, rail options and rail systems are always the best solution. The design of our hoisting solutions are based on reliability and an eye for detail. Thanks to the PLS SENSOR MOTION technology, no wall switches or rail contacts are required. Smooth transport and seamless transition. By avoiding friction and steering accurately. Complete freedom, we can help you design your project. Always ready for duty thanks to our unique charger. Thanks to our own design and production facilities, we are flexible when it comes to making adjustments. Do not hesitate to contact us. We think along with your project and ensure an optimum ceiling lift solution for patients in every situation.